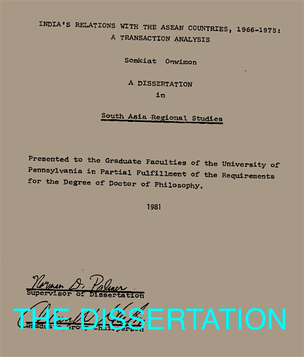 SOMKIAT ONWIMON, "INDIA'S RELATIONS WITH THE ASEAN COUNTRIES, 1966-1975: A TRANSACTION ANALYSIS" (January 1, 1981). Dissertations available from ProQuest. Paper AAI8208022.